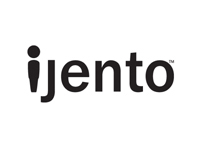 iJento enriches your digital customer data. Its technology transforms existing web analytics data from aggregate reporting a sophisticated digital intelligence platform that tells you about what each and every individual customer has done at a very detailed level. iJento enables its customers to produce more sophisticated analytics around campaign attribution, content attribution, and behavioural segmentation, among other. These high-value business insights significantly drive revenues by improving the customer experience and optimizing marketing. iJento amplifies traditional analytics to multichannel by integrating other sources of customer data such as call center, CRM and POS. iJento has offices in Oxford (UK), Portland (OR) and Sydney (Australia).